The evolution of golf shoes has come a long way. For most of the 20th century, the shoes used in golfing were more like dress shoes with metal spikes that had these incredible stiff soles that came out as solid as military boots. I feel like I lack words to describe how uncomfortable these shoes were but I am here to prevent you from experiencing the 20th century type of discomfort in this 21stcentury. This is because golf shoes have undergone significant transformation. For example, the metal spikes which were rampant in the old days are almost in extinction as plastic spikes have replaced them. 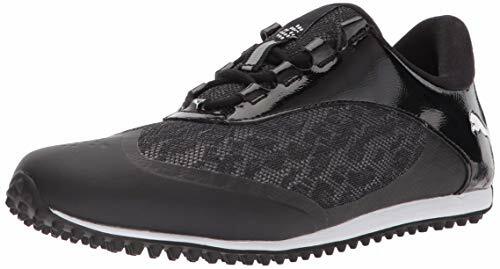 No doubt, the dress shoe types are still much in existence but generally, golf shoes that look more athletic are the norms now. It is one thing for any golfer to choose a golf shoe that suits their taste. But when it comes to women’s golf shoes, special attention has to be given so that maximum satisfaction will be gotten from them. When you consider that golf players walk the equivalent of five kilometers each time they play 18 holes, then you won’t downplay the importance of having shoes that do not just provide stability but an attractive style as well. Considering the fact that a lot of shoe companies have gone into the production of golf shoes, I can guarantee you that it can be one helluva task to find the right pair of women’s golf shoes. A great pair of golf shoes should be an essential part of your golf pack because you definitely need to be comfortable on the course for a long time. A good pair of golf shoes is essential in allowing you to enjoy your time on the course. So how about you sit back as I help you decide with the following information on the exact women’s golf shoes that you should have? Of course you can have more than one of them. ECCO is a European shoe company that has been producing environmentally friendly shoes since 1963. The ECCO Women’s Biom is made up of 100% Leather and Textile with rubber soles that enhance expansion and comfort when the need arises. If you are looking for a pair of shoes with natural motion technology and asymmetric reflective paneling, you will have to trust me when I say that this is your shoe right here. The shoe is also resistant to water, so you can rest assured that your feet will be as dry as they were when you are done with golf. 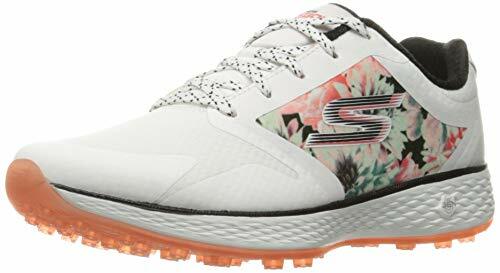 With its mesh fabric feel coupled with its 5gen cushioning, you can rest assured that Skechers go golf birdie shoes are your best option when you like walking with the cushioned feeling of comfort. 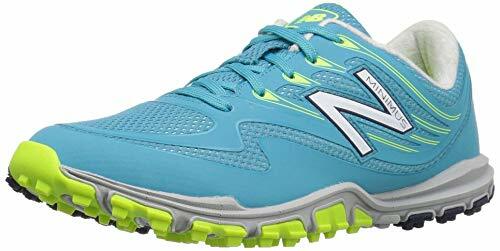 These shoes are also extremely lightweight and it comes in many different colors. The shoe comes with a synthetic sole with its shafts measured appropriately to eliminate cases of over and under fitting. 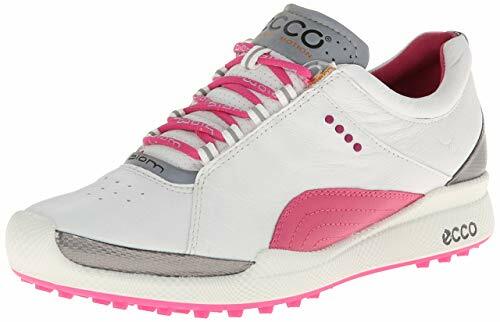 These women’s golf shoe is a perfect blend of a waterproof leather protective show with the feminine designs that will make you look great on a golf course. The shoe is designed with a full rounded toe character and a standard instep and heel. Your toes in these shoes are literarily being massaged. embody have awesome offers for their customers and there is a whooping two years warranty for the waterproof design. Adidas is not new in the world of sport shoes. With the W Response spiked golf shoe designed with full-length bounce foam, it is made for anybody that enjoys thrill involved in completing a round of golf. 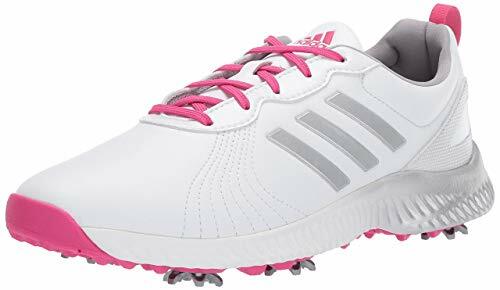 This shoe is a favorite for professional female golfers and it has been proven beyond reasonable doubt that the cushioning, stability and comfort for maximum performance on the course is what this particular design is meant for. 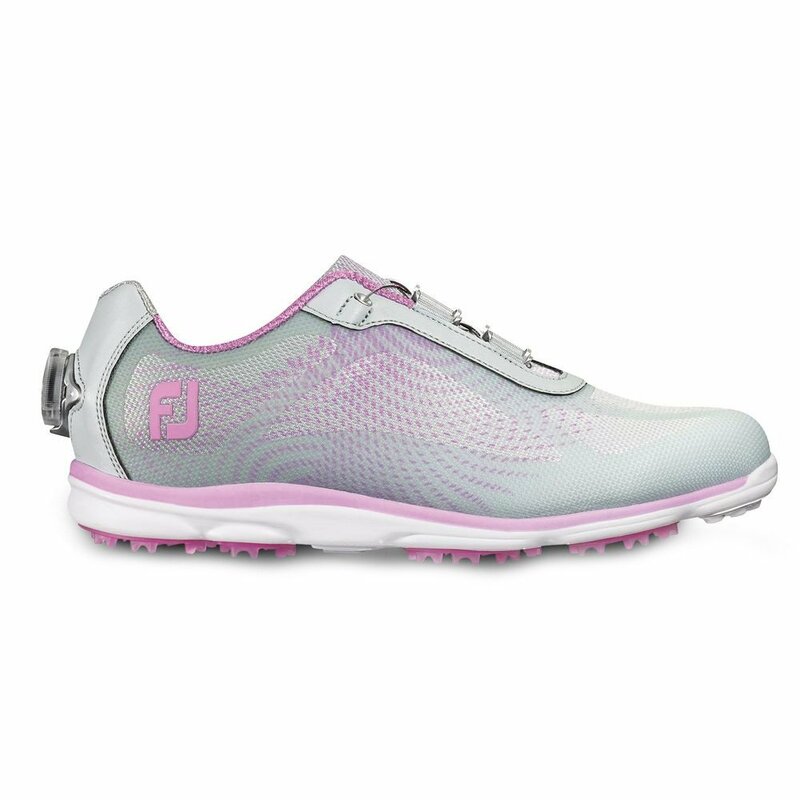 FootJoy is known for their blend of a waterproof leather protection with striking feminine designs. The BOA Empower golf shoes integrate the Boa dial into the heel of the shoe. This way they were able to develop a unique design with special attention on the forefoot and heel. This shoe is a guarantee heel fit shoe that will maintain your comfort throughout your round. Plush leather than enhances remarkable visual appeal and durability. The SummerCat sport golf shoe in my opinion is the perfect shoe for a hot summer day on the golf course. The shoes are breathable and they are designed to help you keep cool in the sun. It is made with textile and synthetic fiber with shaft measures that are approximately low-top from the arch. The soles are made with carton rubber which is highly abrasive and it provides excellent grip and long lasting durability. The New Balance 1006 women’s golf shoes is designed to get you lower to the ground for a more natural fit and feel. The midsole cushioning design is a great support for your feet and it is made with breathable meshes that makes it a perfect summer golf shoe. They are made with spikeless rubbers which offer awesome traction on the swing. 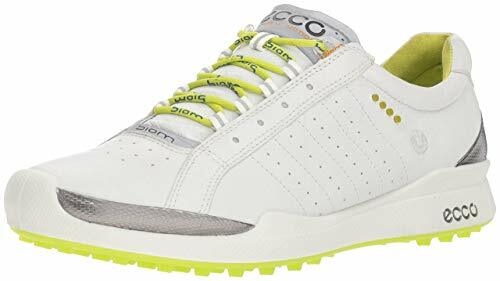 This ECCO shoe is engineered with outsoles that will provide at least 800 traction angles for excellent grip, irrespective of the weather condition. They are made with highly breathable yak leather with water repellant designs that makes them completely waterproof. The BIOM technology which is in this particular design promotes natural foot position, enabling unrivaled comfort of the foot. The Go Golf Lynx is specially made for women golfers who crave extra comfort. 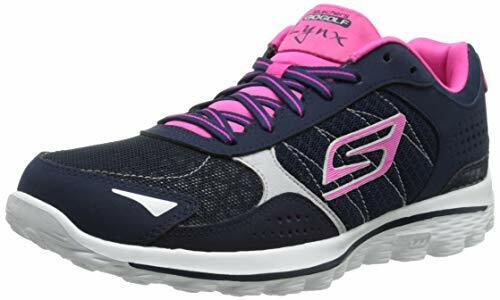 Like every other skecher, it is light weighted with soft fabric lining. The cushions of this particular design are enhanced with a resalyte midsole and it has a full length goga mat energy return inside. FootJoy are so sure of their waterproof design that they offer a full year warranty for the LoPro 97228 women’s golf shoes. The upper part of the shoe is made up of full grain leather and it has a Dri-Lex cover which provides a soft and comfortable underfoot cushioning. The shoe is very flexible and it is relatively light weighted. The truth I have soft spot for golf shoes that are purposefully and beautifully designed. If the list does not narrow down your choice to the particular shoe you want to buy, then I can recommend a particular shoe I find to be the best. 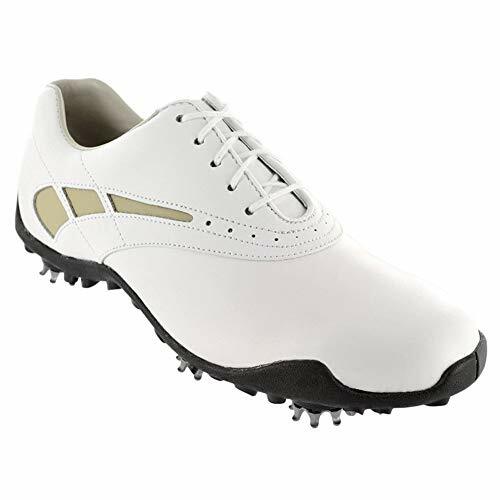 I recommend the FootJoy New Women Embody Saddle Golf Shoes. Which is your favourite? Add it to your golf bag today for an unforgettable experience.